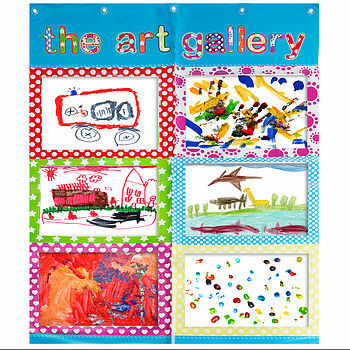 A colourful hanging for displaying up to 6 x A4 pieces of children's artwork. Providing a rather more impressive display than the fridge, this hanging is designed to be hung on a door using the 5 suction cups included. 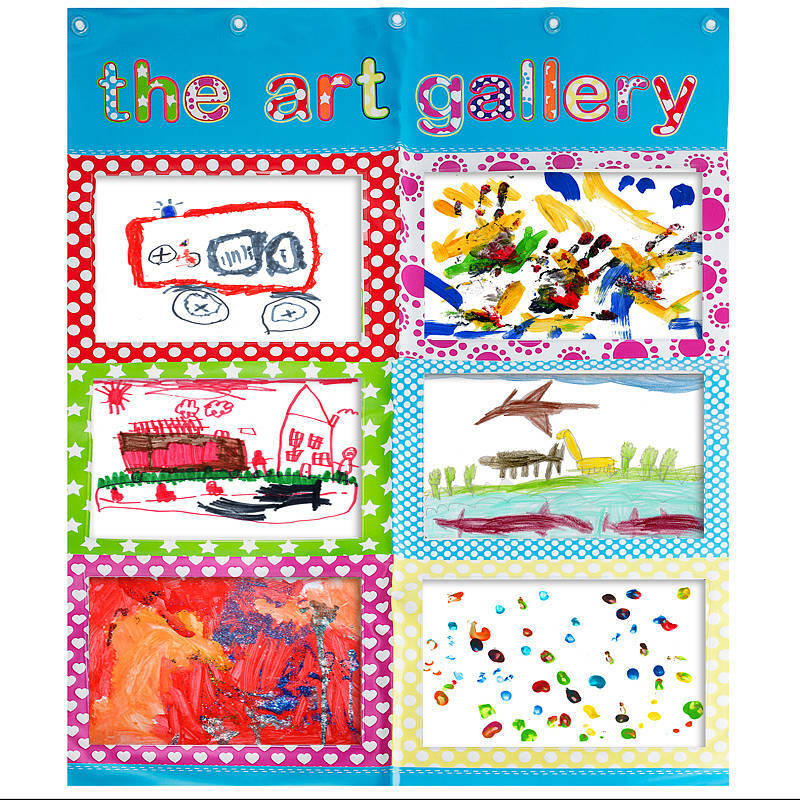 Made from practical wipe-clean PVC, your child's artwork is easily changed, protected and displayed using the 6 pockets provided. A lovely gift idea for a creative child. Measures 75cms wide x 98cms high. This product is dispatched to you by Artful Kids.